SABP the world's most integrated inventory management software. It can manage multi-warehouses, showrooms, and branches. Its' "Internal Transfer" module able to transfer goods from warehouse to warehouses and the branches. Its excellent purchase order module generates an on-time current stock position and average monthly sales ratio instantly, which is avoiding to order the non-moving goods. It is useing First in first out (FIFO), last in first out (LIFO) or first expires (FEXP) method. This process control the exact value of inventory and cost of sales. 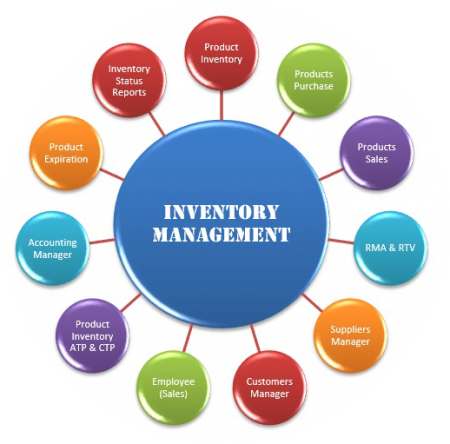 SABP Inventory Management provides real-time solutions for the receipt of products against purchase or shipments. This store control configuration directs your workers to the specific bin for easy storing, picking or counting of inventory. It's ensures that inventory is always optimally located ready for efficient order processing. Outbound process start when received sales order or transfer order, This Inventory Management refers to goods going out from a warehouse or a store using sales invoice, delivery note or internal transfer(outbound).